I've really whooshed in here today, carried by gale force winds and washed down by buckets of rain. You know we desperately need it, but now, sadly, lots of folks are dealing with flooding, power outrages, and downed trees. When it rains, it pours. Both US coasts are being dumped on and I'm hoping you are all weathering okay where you are. I adore these tree dies from Memory Box. For this card, I cut out the trees using the Pine Border Background die, planning to use the sparkly blue die cut on a white card base. Then, out of the corner of my eye (which, yippie, I can now out of see! ), I saw a black scrap of card on my desk so I handed them both to Hammy to play with. He, being a small-brained hamster, after all, simply off-set the die cut on top of the scrap to create a shadow. I liked it so much I replaced the scrap with a black card base and wallah! EZPZ. QACAS. Remember the other day I showed you a card I made with a flourish die cut over a rainbow of Gelato watercolors? For this similar card (also using some of that lush paper from Anita), I used the Memory Box Pine Border Outline die and inlaid a blue wash of colors using the color inspiration from this week's Less Is More challenge. They look like ballerinas on their tippy toes, wearing white gloves and holding hands. I don't care what the hamster says, I really love this card just as it is without any additional stars, bling, or sediment. Don't you wish you could run your finger over that picture? Or am I the only one who actually reaches for the monitor when something touchable appears? You know, like Ryan on my last post. Settle down. 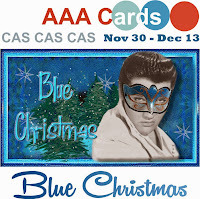 AAA Cards, where the theme is "Blue, Blue, Blue Christmas Challenge." Pals Paper Arts (PPA231), which is also a color challenge this week. 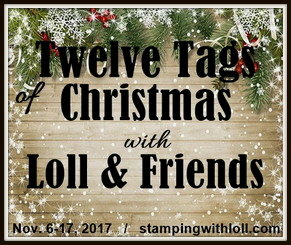 Please click on the challenge links for details on rules, sponsors, and prizes. If you ask me a question in your comment, please remember to leave me your email address so I can respond. Love your CAS cards Darnell? I prefer the shimmery one. WOW! Your cards are GORGEOUS!!! All are very pretty and elegant, but I like the most the last one (it makes me ahhhhhhh) :-D Love that paper you used on the last card. I was reading about the storms in the news and was hoping you're ok! Love your cards today. That die is to die for! You used it in a beautiful way! Congrats on being showCASed lat week at LIM. 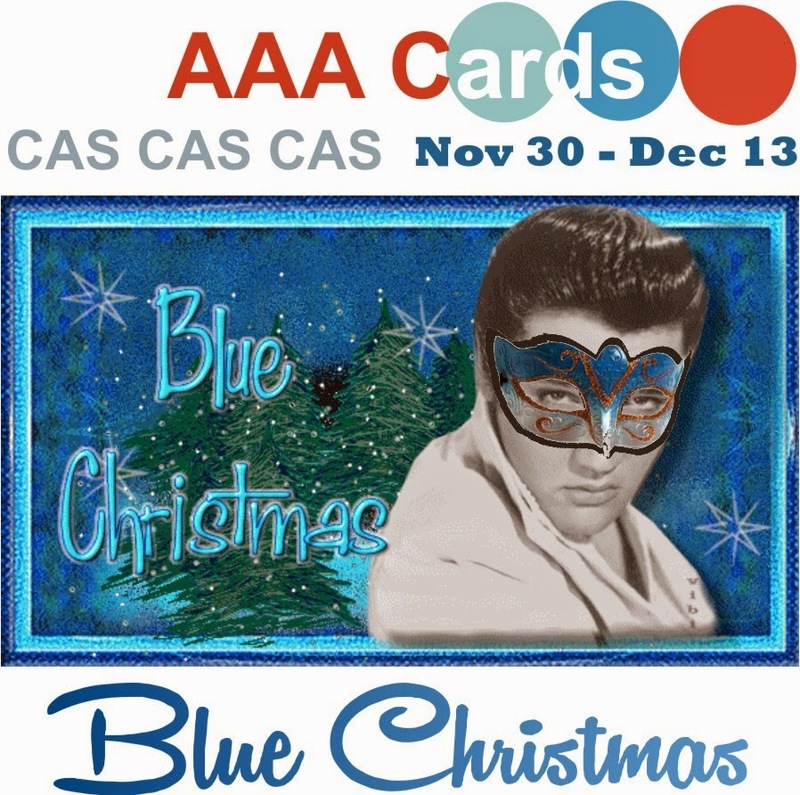 I love the white card and the turquoise trees - great CAS card. Love that die Darnell and both your Cas cards are lovely. Hope you stay dry. Two lovely cards Darnell. Can't choose between them though 'cos I like them both! 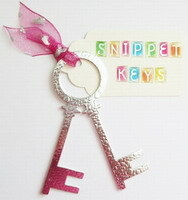 Sorry I've not been commenting as much as usual - its that busy time of the year! Lovely cards. I prefer the white with blue as it really stands out. Great use of that marvelous die. Your CAS designs are awesome. Lovin all of the pine trees today Darnell! Pretty CAS designs! I love both cards! That's certainly a great die! 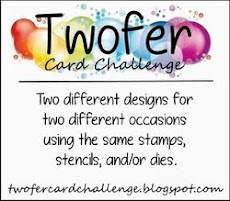 Love how you've used the color palette on both cards but particularly the second one. Thanks as always for taking part. Beautiful cards! I am going to have to try these dies out since I have them, but not used them as yet! Hope you're not floating away yet and stay warm and dry! Love them both, Darnell. Clean, elegant, very sophisticated. Gorgeous color and texture! I love the black behind the trees. Without the star is my preference, but I would've put the star on it b/c white space scares me. Those ballerinas should take a bow, they are beautiful! I'm so happy to see your post this morning since I heard about all the storms and flooding out your way. Both of these cards are gorgeous. I think I like the shiny first one. But I also like the blue background in the second one. Also love the picture of Elvis. My grandmother was the first to call me and tell me when Elwin died. She always called him Elwin! Leave it to the little ones to create so simple. Absolutely love what he did, and then mounting it back onto the same glittery paper.........perfect!! Wow! Gorgeous cards both of them! Love that touchable texture on card #2. Have a great day Darnell. ALL are great! Love the colors on these and that wonderful die. I love both cards - CAS perfection here! Hugs! A wonderful modern card design and love all the shimmer and shine on it. Awesome design inside too! I love your Blue Christmas rendition! Wow Darnell, I love your beautiful CAS cards. The first one is my favourite, the blue sparkle card is gorgeous and I love how the offset black mat really looks like a shadow. Wow, that's some turkoise amazability! Love the addition of the silver star! The second card is jaw dropping gawgeous! Oh, my! 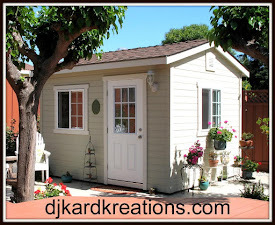 Love the texture and pretty inset trees! Nice use of ALL papers - negative and positive :) Thanks for joining in with AAA Too! Bootiful. I love the all blue one the bestest of the best. Hugs Mrs A. Just gorgeous and I do prefer without the star but a tiny sentiment in top left would just be spot on for me, great die. LOVE these trees. I own these trees. Why don't I USE these trees? I especially want to fondle that second one. Darnell, I L-O-V-E this wintry scene! Thanks for showing us your blue at AAA Cards! Love these pretty cards, Darnell! The possibilities are endless with all of the dies that are out now and I enjoyed seeing your variations using these trees. Thanks for the inspiration. I like the first one better without the star--it is elegance at its finest. The color wash on your next card is fabulous! Gives off a neat look. That's a great variety of cards you've made using that tree die! I love the one with the silver star the best! Fabulous dahling - both of them, with or without the star! Wow, three beautiful cards! I prefere the one without the star, but my favo is the inlayed card; what a stunning way to use the colours! Hey Darnell, I really love all three cards, and if I had to choose two it would be the first and the last. 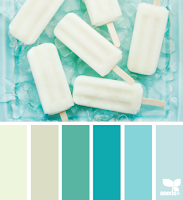 Gorgeous shades of blue/turquoise used in both...just mouth watering. L O V E ! Yum, I love that turquoise paper and offsetting the trees really makes them stand out. I like the one without the star better. That second card is delicious. It does make me want to reach out and touch it. My preference is the border card and your Anita paper. Gorgeous! Love the graphic look to these cards. oh my gosh, Darnell these cards are GREAT. i love the top one plain, w/o the star, it's so beautiful as is. --you have now convinced me to purchase this die as part of my on-going order i am doing at Simon Says. i was looking at it but....... okay, just do it! Darnell...I love each and everyone of your cards. Your blue trees are amazing and so clever too. I am glad to hear you still making cards even with all the rain...we had the day off, I called it a snow day...this is the closet we will ever get to one of those. Take care and stay dry. Kids are looking at me strangely as I'm sitting here giggling to myself. Just read the comment at the end of your post about touching the screen and then you mention 'Ryan'. So funny!!! I LOVE LOVE LOVE these cards, I think they are magnificient. Tone on tone looks so modern and I also love the different blues created on the second card. I can't choose a favourite...pls don't make me!!! CAS perfection! I would leave out the silver star to keep it monochromatic and ultra CAS. The textured look of your second card is fab!!! Gorgeous cards, Darnell! Love that tree die. 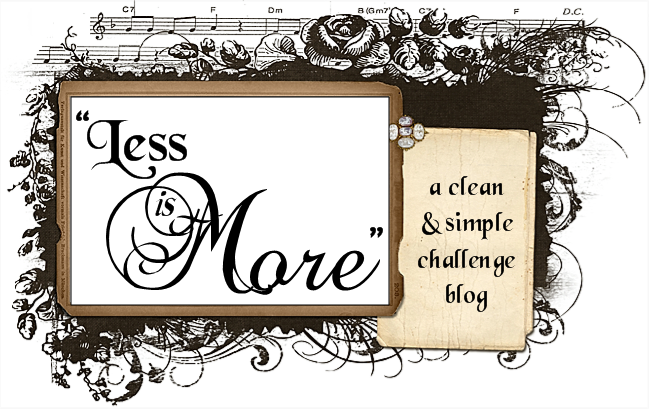 The dramatic simplicity of your designs using this die is stunning! Gorgeous colors! Nothing else is needed! Great call to 'step away from the card!!!" ... and play with Ryan instead! ooops...forgot to add that the effect of the shadow is AMAZING! Hello Darnell, has long been my pleasure to watch your blog. It is very beautiful and very inspiring. And I'm especially pleased that you want to watch my blog. Cards that are done a beautiful. Especially I like the turquoise Christmas tree. Beautiful color and texture of the paper. They're both so nicely done. So happy that you are seeing better these day. So am I! I feel so blessed, especially when I have surprised two eye doctors with the progress that I have made...(which was better than they both expected! I told them that it was my Christmas present!) Hope you're having a very blessed week! Really liking the blue inlaid wash of colors card! Beautiful. We survived the wind and rain here in WA and only lost power for about 6 hours which happened when we were sleeping, so no big deal! Hope you weathered things well! I always love your posts! Both styles are just lovely. Thanks so much for joining in with AAA this challenge. Those trees DO look like ballerinas! And yes, I do want to reach out and touch your card. :-) Gorgeous texture! I like the addition of the silver star on the first card & I adore the second one! I agree, Darnell, it didn't need anything to be added--looks perfect as is! Clean and lovely, Darnell! This is the coolest die ever! I LOVE it! Thanks for playing with the Pals at Pals Paper Arts this week! Yes, I do want to reach out and touch your card! All of them are so pretty, Darnell...I love the first one with and without the star and the beautiful blue papers you chose for the last one! Wow both are perfection! Love the very clean and elegant look of both! Can't believe I didn't get around to visiting last week! This is a fabulous bunch of creations Darnell!